Hello my friends! Welcome to a hidden page on my website just for you, my wonderful newsletter subscribers. In Marked by Love, Danae makes some awesome everything cookies. They are called everything cookies because you can mix and match different ingredients. Often, these cookies are in my cookie jar in my home. I can't seem to keep up on baking them, though, because someone always takes some home. ​Want to give the recipe a try? I'd love to know what you think and how you experimented with the ingredients. Shoot me an email at rosalie@rosalieredd.com and let me know! 1. Preheat oven to 375 degrees F (190 degrees C). Grease cookie sheets. In a medium bowl, stir together the quick oats, flour, baking powder, baking soda, salt (if used), cinnamon, and nutmeg. Set aside. 2. In a large bowl, cream together the butter, brown and white sugar until smooth. Beat in the egg and applesauce. Stir the oatmeal mixture into the batter until well-blended. Fold in the chocolate chips, dried cranberries, and walnuts. 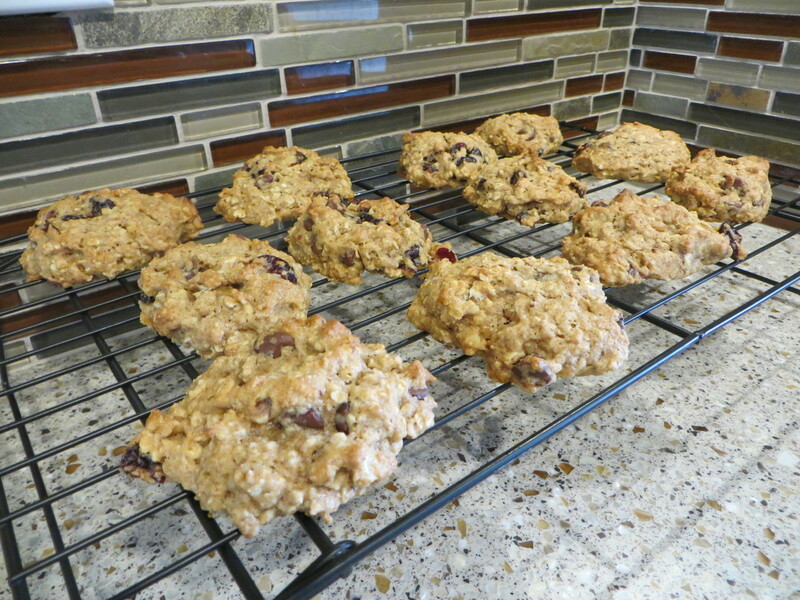 Drop by rounded spoonfuls onto the prepared cookie sheets. 3. Bake for 12 minutes in the preheated oven. Allow cookies to cool on baking sheet for at least 90 seconds before placing on a wire rack to finish cooling.